Having minor neck problems is common to very many people. It is thus very likely that you will at one time experience neck pain. Normally, our body movements should not cause any problems. However, due the wear and tear, trouble in movement can occur. This is mostly the case with persons involved in sports, heavy tasks or even when doing recreational activities. It starts with a stiffness feeling that is accompanied with severe pain. In some instances, you may start to feel pain swallowing food or even saliva. Within few hours or a day, the pain spread over to shoulders, your back and even arms. Here is the definition of Neck pain. If you have been experiencing this, then it’s likely to be neck pain. There are number of reasons as to why you may be experiencing neck pain. Mostly, neck pain is a result of strained or tight neck muscles which could be also inflamed joints. The nature of pain varies and it is advisable to understand the cause of your neck pain for proper treatment if possible. When you visit a doctor, he or she will be able to ascertain the real cause. Generally, neck pain is associated with the following activities.
. Holding your forehead on an upright arm for long periods.
. Resting your head on your wrists while watching TV or reading.
. Stress can create tension in neck muscles.
. Sleeping with a bent neck. 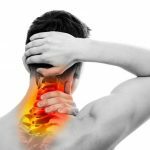 If you recently had an injury, then it may be the likely cause of neck pain. 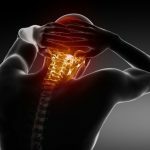 If you over lifted weight at the gym twisting your back muscles, or tripped and feel terribly, knocked your head on a wall or any other minor injury, then that could be the likely cause of neck pain. Severe neck pain may be caused by car accidents, falling higher grounds or even being hurt by a blow in a fight. Any direct external pressure applied to the neck region may cause severe neck pain. There are diseases especially ones that affect nerves would cause neck pain. Here are a few health conditions that could cause neck pain. Meningitis – this is a viral illness that inflames brain tissues together with the spinal cord. Its symptoms include severe neck pain. Arthritis – any little damage on the discs connecting neck joint can cause pain. Neck pain due to this mostly affects one side of the neck. If is to the right, you will feel pain turning to that side. Torticollis – This is a severe contraction of muscles on one side of the neck. It makes it difficult for to turn tilting the head to one side. This may be caused at birth or due to any other diseases. As seen, neck pain can disrupt your way of doing things. In severe cases, it is important to seek for medical attention. A doctor may recommend manipulative therapy or even physiotherapy. In case it is caused by a disease, the proper treatment of the condition can heal the pain. You are thus advised to check with a doctor to know what best treatment measure to take. Next Post How To Relieve Chronic Neck and Shoulder Pain ?